Is a China-Centric World Inevitable? If India wants to play the larger game of countervailing Chinese power, it must confront Beijing's moves to narrow its strategic space in the neighbourhood. We are currently in a prolonged stand-off with Chinese forces on the Doklam plateau and it is hoped that this will be eventually resolved peacefully. But in dealing with such situations it is helpful to be aware of the overall context in which these specific events may be unfolding. My sense, based on my own interpretation of China’s display of unusually aggressive and threatening behaviour, is that Beijing was caught on the wrong foot by the unanticipated action taken by India’s armed forces to confront China’s road building team in Doklam, which is Bhutanese territory. It has been engaged in the usual incremental nibbling advance in this area for several years, making dirt tracks, sending graziers in summers and occasional patrols. The Bhutanese have lodged protests, there have been solemn commitments not to disturb the status quo but intrusions have continued. This time around, the Chinese made bold to signal their intention to establish a permanent presence and may have believed that the Bhutanese would protest but acquiesce. India, it was assumed, would be unhappy but would be unlikely to face-off China on Bhutanese territory. A similar strategy has paid handsome dividends in the South China Sea where, since 2010, the facts on the ground have been repeatedly changed without encountering any serious opposition, including from the US. This assumption was belied by the reaction from Bhutan and India. What may have been deemed to be a low cost, low risk activity, for which there were sufficient precedents, has now been transformed into a potentially high risk one. Hence the high decibel and threatening posture, designed to compel a stand-down by Indian forces, which would, in the end validate the original assumption. This is a mind game, a Chinese brand of psychological warfare but one cannot rule out the possibility of frustration driving punitive action. Prudence demands that India should be prepared to deal with more serious contingencies including a possible prolonged impasse, such as prevailed in Wangdung in the eastern sector from 1986 to 1992. To recapitulate, it is in the summer of 1986 that the Chinese crossed the Thagla ridge, occupied a feature called Le, built permanent barracks as well as a helipad. This violated the status quo that the two sides had maintained for over a decade on the border, but when India protested, the answer predictably was, as is the case in the present instance, that China was on its own territory, that it was merely strengthening border management on its side and that India should not overreact. However, in an unexpected move a few weeks later, Indian troops had moved to occupy a ridge parallel to Thagla, overlooking the Sumdrochung river. Two forward posts were set up across the river below the ridge only 10 metres from a Chinese forward post. This unexpected Indian response invited a harsh and vituperative reaction from the Chinese side, which insisted that it was only a withdrawal of the Indian troops from the heights they had occupied that would defuse the situation. The stand-off continued for nearly a decade before there was an agreed mutual withdrawal. Will this precedent prevail or will there be a different denouement ? 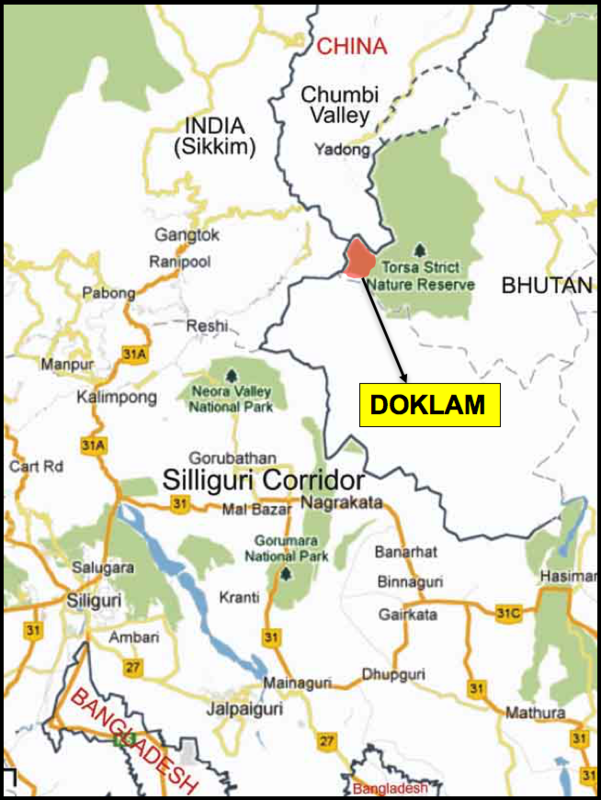 This is a difficult question to answer but it may be useful to locate any specific event like Doklam in a broader perspective that takes into account the domestic political dynamic inside China, the perceptions of Chinese leadership regarding the evolving regional and international political, the economic and security landscape, and the relative positions in this landscape of both China and India. So we need to be aware that these templates are being overlaid with concepts and ideas borrowed from other traditions and thought systems and these lead to behaviour patterns arising out of the deep transformation within China itself and the world around us. The ideas of McKinder and Mahan are as much discernible in Chinese strategic thinking today as are the concepts derived from the writings of the ancient Chinese strategist Sun Zi. The Belt and Road project is McKinder and Mahan in equal measure – the Belt designed to secure Eurasia, which McKinder called the World Island, dominance over which would grant global hegemony; and the Road, which straddles the oceans, would enable maritime ascendancy, the indispensable element in pursuing hegemony according to Mahan. There is an unmistakable American flavour in China seeking singular predominance at the top of a regional and global order, where the hierarchical principle is the guarantee of order. But it is also echoes the Chinese sage Confucius, who argued that harmony and hierarchy were intertwined. As long as each person knew his place in the pecking order and practises the conduct appropriate to it, all would be well. Americans never had any patience with protestations of multi-polarity. As Chinese power has accumulated, it too has jettisoned its earlier preference for multi-polarity. 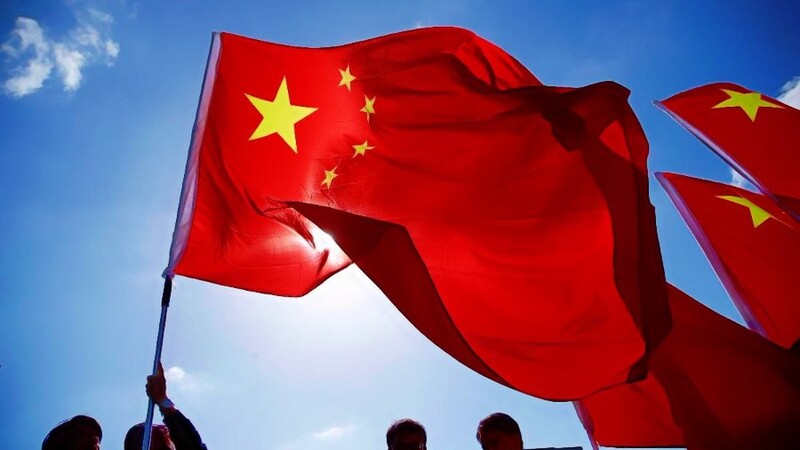 Now it is a “new type of great power relations,” which is in vogue, with its requirement of China being accepted as having equal status as the established superpower, the US. But this is only a pit-stop as China races ahead inexorably to the unipolar finish line. China uses templates of the past to construct a modern narrative of power. These templates are the instruments of legitimisation. As students of international relations are aware, power is more effective if it carries a veneer of legitimacy, but as Henry Kissinger has observed, “the balance between legitimacy and power is extremely complex”. Legitimacy enables the economical use of power because it fosters a sentiment of acquiescence among those who are the object of such exercise of power, not requiring the actual use of violence or coercion. Deconstructing the Chinese narrative of power may help us decode its international behaviour and manage the challenge posed by its rapid and, by all metrics, spectacular rise. One key element of the narrative is that China’s role as the dominant power in Asia, to which other countries must defer, is a return to a position it had occupied for most of history. The period of about 150 years stretching from the middle of the 18th century to the year of China’s liberation in 1949 is characterised as an aberration when it was reduced to a semi-colonial status and subjected to invasions by imperialist powers and Japan. The tributary system is being presented as artful statecraft evolved by China to manage inter-state relationships in an asymmetrical world. What is rarely acknowledged is that China itself was a frequent tributary itself to keep marauding tribes on its frontiers, at bay. The Tang emperor paid tribute to the Tibetans as well as to the fierce Xiongnu tribes on the western frontiers to be allowed to remain in peace. In most cases, the exaction of tribute was a means to regulate trade with countries in the region, who were politically autonomous and mostly independent. It is true that Chinese culture did spread to several countries on China’s periphery but this did not always imply political control. This is most apparent in the case of Japan, which successive Chinese empires failed to subdue. It is true that there were periods in Chinese history when its periphery was occupied by relatively weaker states. But China itself occupied and ruled by non-Han invaders, including the Mongols from the 12th to 15th centuries and the Manchus from the 15th to 20th century. Far from considering these alien empires as oppressive, the modern Chinese political dispensation seeks to project itself as a successor state, entitled to the territorial acquisitions of those empires, including vast non-Han areas such as Xinjiang and Tibet. As has been pointed out by Mark Elliot, there is “a bright line drawn from empire to republic”. Thus it is an imagined history that is being put forward to seek legitimacy for China’s claim to Asian hegemony. What is remarkable is how much of this contrived history is being considered as self-evident in western and even Indian discourse. There is little in history to support the proposition that China was indeed the centre of the Asian universe commanding deference among less civilised states around its periphery. It is on the basis of its economic and military capabilities, its accumulation of knowledge capital and mastery of science and technology, and, above all, to its contribution to the global commons that it must claim its rightful place in the emerging world order. Its contemporary rise is indeed remarkable but does not entitle it to claim a fictitious centrality bestowed upon it by history. Chinese map marking out the important routes and cities involved in the Belt-Road Initiative. 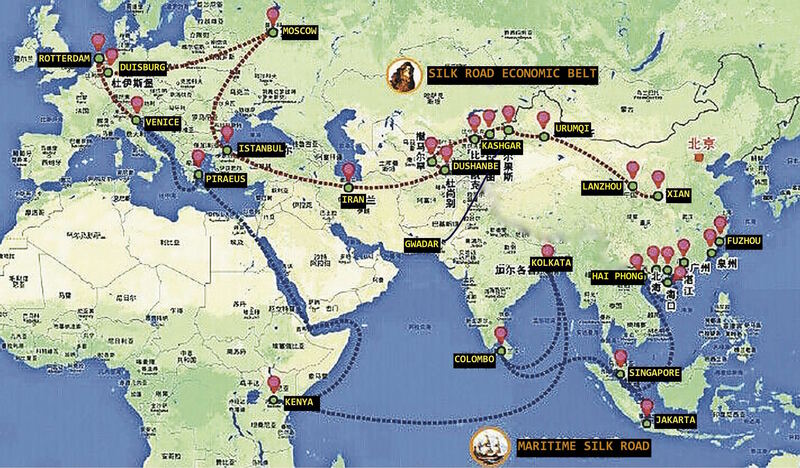 The Belt and Road initiative also seeks to promote the notion that through most of its history China was the hub from which trade and transportation routes radiated across Central Asia to Europe and across the seas to Asia, maritime Europe and even the eastern coast of Africa. China was one of the countries that participated in a veritable network of caravan and shipping routes that criss-crossed the ancient landscape before the advent of European imperialism. Chinese silk was certainly prized across the world as were its ceramics. But so was Indian cotton, spices and precious gems. China was never a major trading nation and remained relatively insular through most of its history. It never developed the cosmopolitan spirit that has been a hallmark of the Indian temperament as it should be for a cross-roads culture. There were other great trading nations, including the ancient Greeks and Persians and later the Arabs. Much of the Silk Road trade was actually in the hands of the Sogdians who inhabited the oasis towns leading from India in the east and Persia in the west into western China. Thus, the recasting of a much more complex history of trade and transportation to reflect a Chinese centrality that never existed is another part of the current Chinese narrative of power and the Belt and Road Forum convened by President Xi Jinping in Beijing in March this year was designed to demonstrate that Chinese centrality was being accepted by friend and adversary alike as a natural manifestation of national rejuvenation put forward by him. China is today a great trading nation and justifiably called the factory of the world. But it owes its current prosperity to being part and parcel of a densely inter-connected global market and extended global value chains. This has little to do with economic history, which is that of a mostly self-contained and insular economy where external trade contributed little to its prosperity. It is true that sections of Asian and Western opinion have already begun to concede to China the role of a predominant power with the corollary that it is best for the rest to acquiesce to this inevitability. In a recent book, Destined For War: Can America and China Escape the Thucydides Trap, Harvard professor Graham Allison has used a historical analogy from the Peloponnesian War between ancient Sparta and Athens in the 5th century B.C. to describe how a rising power always challenges an established power and that war is often the result. This is called the Thucydides Trap named after the famous chronicler of the war. The Chinese are delighted to be benchmarked with the US with the corollary that the latter must make concessions and accommodate China in order to avoid the Thucydides Trap. However, in all other metrics of power, with the exception of GDP, China is still far behind the US, whether in terms of military capabilities, scientific and technological advancement or innovative economy. In reality, we are not even in a China-centric Asia let alone a China-centric world. China may continue to expand its economic and military capabilities and may even become the most powerful country in the world. But the emerging world will be home to a cluster of major powers, both old and new, including in Asia. The Chinese economy is slowing down, as has been the case with every major economy in the past. It has an aging population and an ecologically ravaged landscape and mounting debt, now 250% of GDP. A simple linear projection of Chinese current growth into the future may not be realistic. China also remains a brittle and opaque polity and rising insecurity within its political leadership sits uneasily with overweening arrogance of power and hubris. Its historical insularity is at odds with the cosmopolitanism that our densely inter-connected contemporary world demands of any aspiring global power. When Bismarck had successfully created a powerful German state at the heart of Europe, he was conscious of the anxieties among European states which would seek to constrain and countervail its expanding influence. He called this the “cauchemar” of coalitions or the nightmare of countervailing coalitions which any emerging and potentially threatening power will confront. China, too, has these nightmares and this is why it seeks to use the Chanakyan instruments of Sama, Bhed, Dana and Dand to prevent coalitions from crystallising. An aura of overwhelming power and invincibility is cultivated to prevent resistance and forestall coalitions. Despite this, coalitions are forming in the region and the accretion of Chinese military power is sought to be countered by a significant uptrend in military expenditures and security capabilities of all major Asia-Pacific countries. It is important to understand this Chinese strategy and counter it through carefully crafted diplomacy. India will need both internal and external balancing. It has to be more single-minded in building up its own economic and security capabilities even as it seeks to construct and expand countervailing coalitions to constrain China. Strategy implies making choices among competing priorities. There is little doubt in my mind that the most significant challenge to India comes from the rise of China. There is also no doubt in my mind that China will seek to narrow India’s strategic space by penetrating India’s own neighbourhood and this is what we see happening in each of our sub-continental neighbours. Unless India is able to confront this penetration and restore its primacy in its own periphery, it would be unable to play the larger game of countervailing Chinese power. What we are confronting in Doklam should be seen in this perspective. 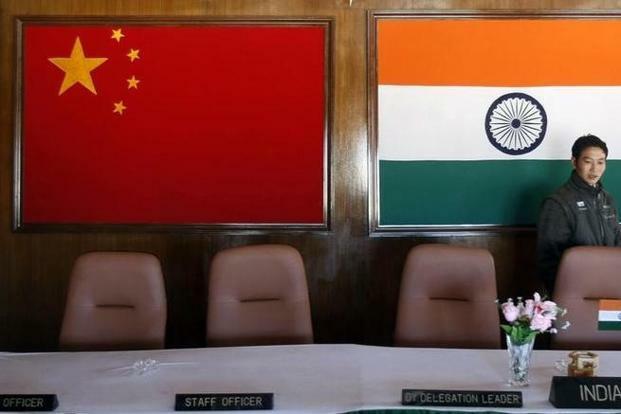 The enhanced Chinese activity would have been directed towards weakening India’s close and privileged relationship with Bhutan, opening the door to China’s entry into the country and seek a settlement of the Sino-Bhutan border which would advance Chinese security interests vis-a-vis India. Unless properly handled, there will be more such incidents that we may have to face. The limited human and economic resources we have, therefore, must be re-directed to securing the neighbourhood. If we find that we are spread thin over regions of lesser consequence then a re-ordering of priorities may be necessary. 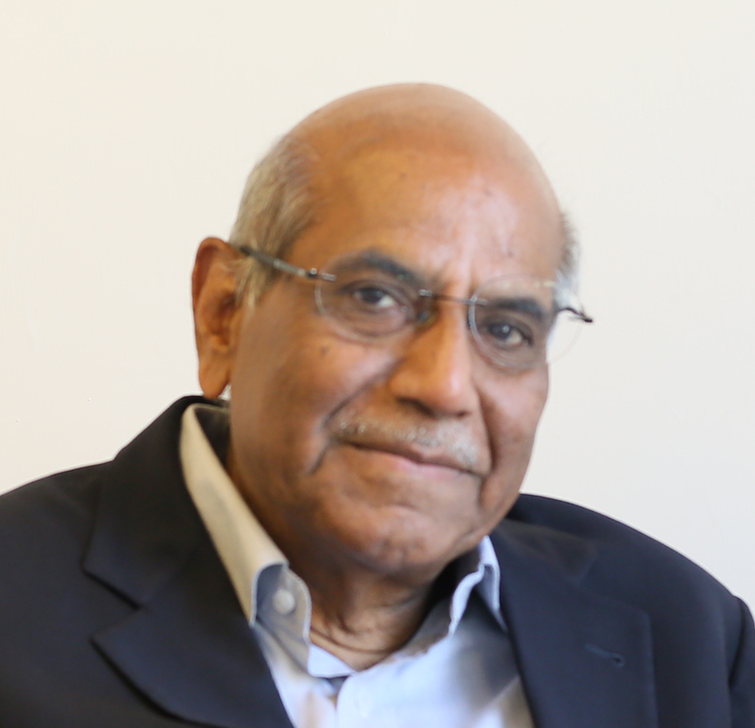 I have argued in the past that the very asymmetry which India enjoys in the sub-continent, should enable it to emerge as the engine of growth for all its neighbours. It must make urgent structural changes to create an empowered vehicle for the expeditious implementation of projects it has committed itself to in neighbouring countries. This alone can restore our badly eroded credibility in the region. We need to pick and choose what are the really key issues on which we need to confront China. There may be Chinese actions that may cause us annoyance but may not be vital to our interests. The China-Pakistan Economic Corridor (CPEC) is, but the UN listing of a Pakistan-based terrorist group is not. Focusing on China also implies an effort to narrow the scope of confrontation on other fronts. An escalation in tensions with Pakistan and the ominous revival of violent militancy in the Kashmir Valley only serve to increase Chinese, indeed external leverage against India. Also read: In the Tri-Junction Entanglement, What Does Bhutan Want? What should India’s narrative be on how we should shape the emerging world order? It should be apparent from my remarks that India should actively resist any attempt by a power to establish its dominance over Asia and the world. This may require closer and more structured coalitions with other major powers who share India’s preference. In fact, the current and emerging distribution of power among major states both in Asia and across the globe would support a multipolar architecture that reflects the diffusion and diversity of power relations in an interdependent and interconnected world. The history of the world since the birth of the Westphalian state system in the 17th century holds important lessons for us. A stable world order needs a careful balance, as pointed out earlier, between power and legitimacy. Legitimacy is upheld when states, no matter how powerful, observe the various established norms of state behaviour and codes of conduct acting through institutions that have been put in place over the past four centuries, layer upon layer. The Westphalian system is by its very nature multipolar in character and is anchored on the assumption that any attempt by a state or group of states to gain hegemony will always invite countervailing action by other states in the system and, in extreme circumstances, through war. Hegemonic interludes mostly ended in war but when all key actors observe the rules of inter-state relations and norms of state behaviour, a stable order can be maintained, as was the case during the long peace between 1815 and 1914. There are even more compelling reasons why the contemporary world needs a multipolar order. Most compelling challenges that we face as humanity are mostly cross-cutting and global in dimension. They are not amenable to national or even regional solutions. These include global warming, health pandemics, cyber crime, drug trafficking, international terrorism and proliferation of weapons of mass destruction. The most effective means to deal with them are collaborative responses among states. A hegemonic order can constrain other states; it will rarely be able to promote collaborative action that can only be effective when based on consent and consultation, not coercion. India possesses the civilisational attributes that could contribute to the success of a new international order attuned to contemporary realities. Its culture is innately cosmopolitan; it embraces vast diversity and inherent plurality and yet has a sense of being part of a common humanity. These are assets that it should leverage in helping shape a new world order that is humanity-centric. The mindless eruptions of narrow nationalism, communalism and sectarianism detract from the credibility of India’s role. We should seek to advance India’s interests but not without a constant awareness of our responsibilities in a larger, interlinked and interdependent world. This article has been derived from a lecture delivered on July 20, 2017, at the Institute of Chinese Studies, New Delhi.